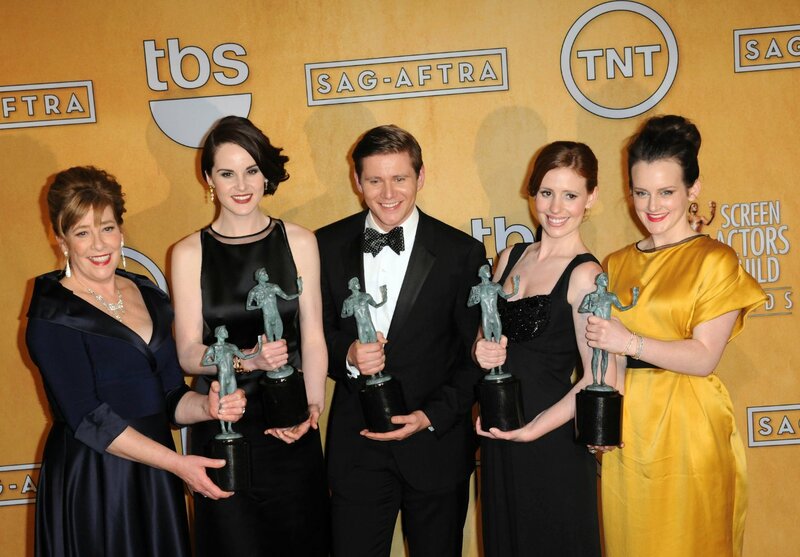 Now back to the point of today's entry, let us explore what makes Downton Abbey stand tall, proud and award-winning amid so many other hopeful series. As we all know, historical accuracy often takes a backseat in such drama-filled stories but in this case, the production team employed a historian to keep the background on track. Even minute details such as the medals on the soldiers' posh red uniforms were chosen with care, as well as their exact positions on the clothing items! Detail, as well as setting the story during important historical events such as the sinking of the Titanic and the First World War, intrigue viewers and make the characters more real for suffering through realistic if phenomenal periods in time. A cardinal rule of novel-writing is that fiction should be made believable and that it is truth that is stranger than fiction. We believe the tragic stories found in newspapers however odd and sensational they may be and yet would have trouble believing the same events in a novel. So Fellowes' idea of setting the drama in implausible situations that everyone believes in because of history books, gave him free reign in causing problems for his characters without the trouble of having to justify how possible the scenarios would be. These situations allowed him to start the tale with a grand opening - both heirs to the throne are tragically dead - leaving not only the Abbey but also the eldest 'princess' with an uncertain future. At this point, enter Prince Charming in the guise of a doctor's son, giving the story its first twist. Not only is Matthew Crawley the unassuming heir to the estate, but also middle class enough to be shunned by most at Downton Abbey at the start, a classical example of the hero if you may. In this particular instance, the hero comes with a mother in tow, one with ideas of her own to add to the tale. The introduction of a sensible yet high-aiming mother-in-law for Mary ensured Fellowes could have a subplot or two to add. Downton Abbey was meant to focus on the future aristocratic Lord and Lady Grantham, with their will-they-won't-they romance that eventually gave way to the will-they-have-an-heir-or-won't-they question. However, as well-made and promising as that sounds, the plot went hay-wire when Dan Stevens, the prince charming himself, opted out of renewing his contract for a fourth season. With a looming possible end to the whole Dowton world, Fellowes opted to kill off the character Matthew on the happiest day of his life, giving audience a new baby and a death in the space of mere minutes not just on the screen but even in the Crawleys' life. 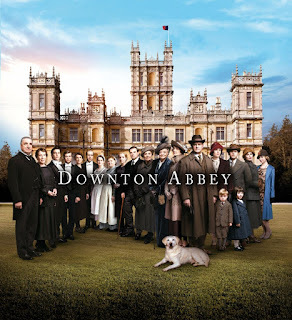 To end the Christmas season with a death scene is an improbable way to keep your audience coming back but Downton had by then gained such a trusted following that the fourth season, despite starting off with not only a lost Mary but also a lost-cause plot, managed to keep enough of its dedicated followers to pick up again whilst spinning the story off into new routes. With the maid Anna and husband Bates, Tom Branson, Daisy and Edith all getting their own bit of fame, as well as Lord Grantham's dramatic ulcer-rupturing scene and Lady Violet's love-from-the-past making an appearance, the show went on to more encores. However it was only fitting that Mary should take centre stage again once she'd recovered from her debilitating loss (which we quite understand, seeing as Matthew was the only one who loved her for who she was and saw the good in her). Failing over and over to find another true love, Mary once again becomes her seemingly cruel self, quick to help those in need but just as quick to ruin her sister's plans as she would have in the first season. Finally married off to a clueless Henry Talbot, it was only fair to plump out his character a fair bit once he became the chosen one and it was only fitting that he leave the racing world behind for a business venture in order to be fair to Matthew's memory. The final instalments of the last season might have sent everyone off into the sunset they deserved, and yet despite showing two weddings in two episodes, they only served to remind the viewer of Mary and Matthew's previous magical union, cheered by all and destined to work. 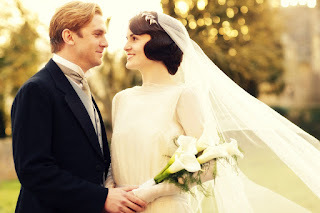 So truly, whilst all the characters were well-rounded enough to deserve a place in the heart of the Downton Abbey die-hard fan, none of them has left an imprint in fans' hearts as Matthew did, showing us that the tale, just as proposed in the beginning, was the tale of Matthew and Mary after all.